Decorating bushes with Christmas lights is a great way to add lights to a Christmas light display without climbing on a ladder. Well lit bushes will form a nice bottom border to the display while providing plenty of light. 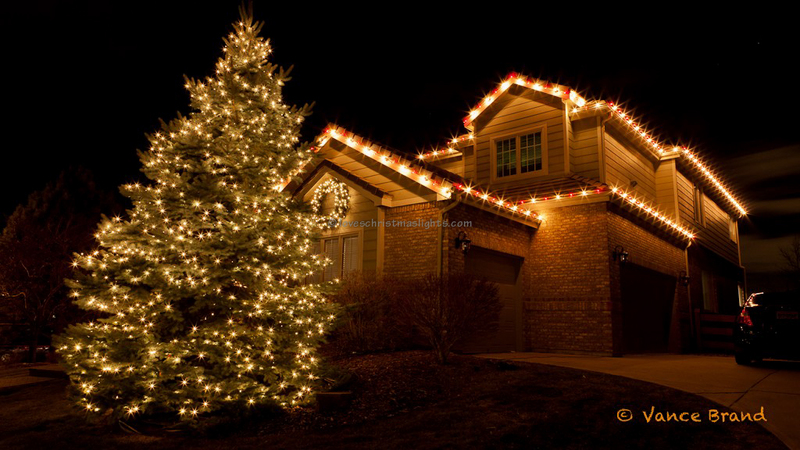 A properly decorated bush will use one strand of mini lights for approximately 15 square feet of foilage. To conserve lights, only the visible sides of the bush needs to be decorated. There is no need to decorate the back of the bush if it is located against the home or the top of the bush if the bush is taller than eye level. The front of the bush and sides should be uniformly covered with no overlapping of the Christmas lights and no noticable "holes" where no lights are located. Run lamp cord or extension cords to the bush. Multiple bushes are typically powered by a single lamp cord with female connectors placed at each bush. Each bush should plug into this lamp cord rather than daisy-chaining to other bushes. Begin with the male connector at the bottom-back of the bush closest towards the power supply and plug the lights in. Spin the bush with horizontal lines with a six to eight inch spacing between wraps. Depending on visibility, the entire bush could be spun or just the front and top sections of the bush which would be visible to the viewer. 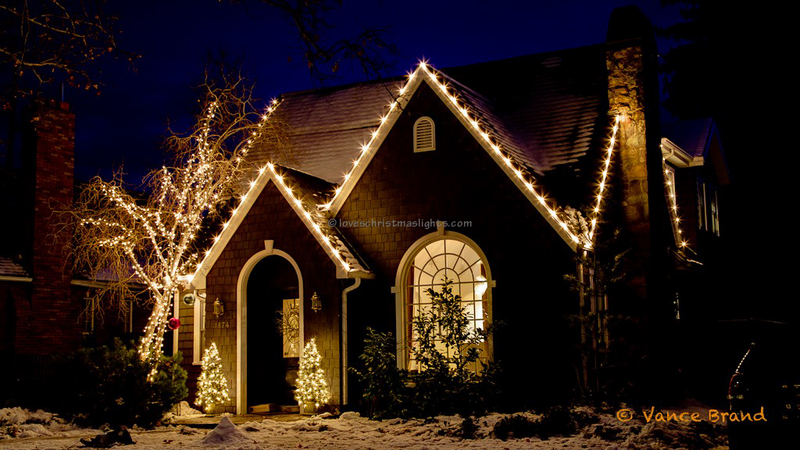 Ensure the lights are secured to the bush so they will not fall off or droop in time. To do so, hook the lights behind the thicker branches of the bushes. If using more than one strand of minis, tie the male and female connectors together with an overhand knot. This makes removal easier and prevents potential failures. The female end of the light stringer may end anywhere in the bush as long as it is not laying on the ground. 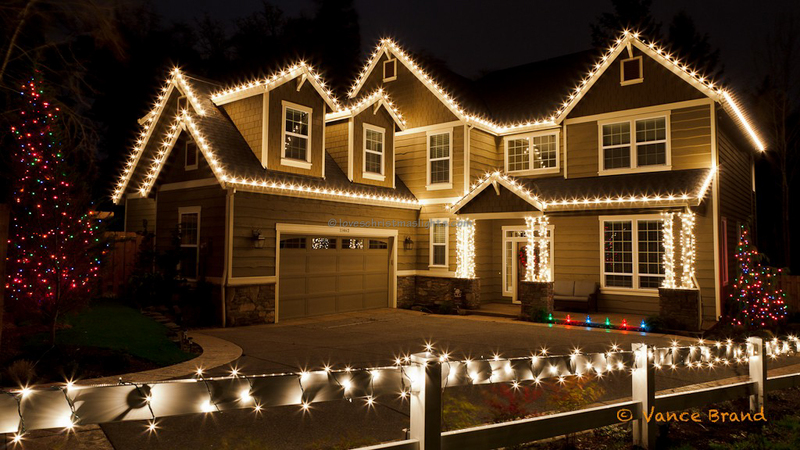 Ensure there are no major gaps in the lights; fill any "holes" in by moving the mini lights around or adding more lights if necessary. A well lit bush should have no visible lines, no gaps in the lights, and cover all the visible sides of the bush.